--Antoine de Saint-Exupery (1900-1944) French writer. Above: The Carter Shields Cabin, Great Smoky Mountain National Park. George Washington "Carter" Shields (1844-1924) was raised in Cades Cove (his family was among the early settlers), but left home to fight in the Civil War. He suffered a crippling wound in the Battle of Shiloh in April 1862 -- soon after the war, he married and moved to Kansas. 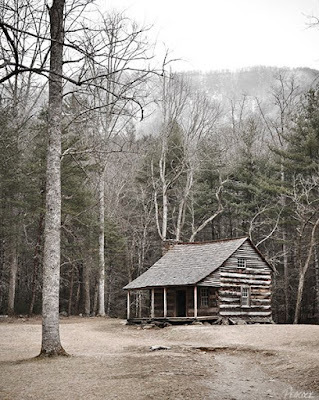 He returned to Cades Cove in 1906 and bought the above cabin in 1910, living there until 1921. The cabin, the last on the auto tour of Cades Cove, is my favorite. It's just a beautiful setting, so rugged and isolated. More Cades Cove family histories, here. Note: The popular 11-mile loop road that takes visitors around the cove is closed for repaving through April 23. 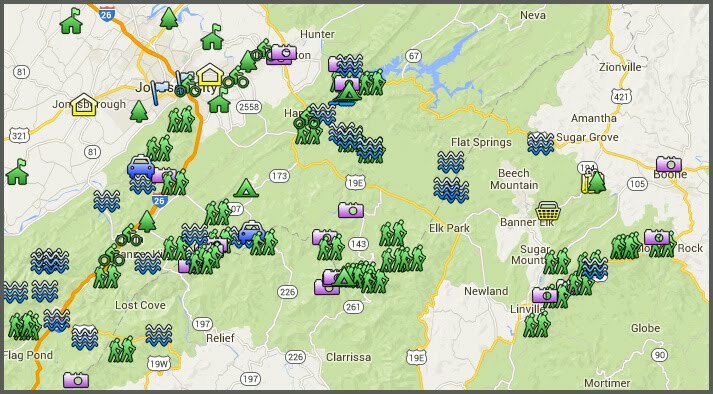 Many other popular destinations, including Clingman's Dome, are also being impacted by construction - Check the website before you go.